I want my levels "ENIGMA" and "THE FRANKY" CASTLE being deleted from the site and deleted everything about me, including registration to the site. That would waste not only your effort but also of reviewers and walkthru contributors. Are you sure you wanna do that? DJ Full wrote: That would waste not only your effort but also of reviewers and walkthru contributors. Are you sure you wanna do that? Gotta wait for Michael, he's the one to host and delete. DJ Full wrote: Gotta wait for Michael, he's the one to host and delete. wouldn't it be easier to just walk away? I see no need for any of that. ....except that it gives you time to cool off and think about what issues are bothering you and how you might be able to learn how to improve the situation. If someone doesn't even understand what the reviews are telling because of a limited knowledge of English - or only understands (quote of Franky): "it is not worth anything, it's boring, there's too much to shoot and talk person who even have been able to finish the level." -, he won't change his opinion even after thinking about it and nobody can help him, sadly. 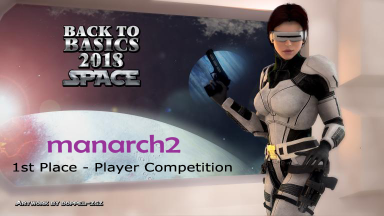 manarch2 wrote: If someone doesn't even understand what the reviews are telling because of a limited knowledge of English - or only understands (quote of Franky): "it is not worth anything, it's boring, there's too much to shoot and talk person who even have been able to finish the level." -, he won't change his opinion even after thinking about it and nobody can help him, sadly. QUESTION: Is it cos' that helped and encouraged beginners like me to go down that road? The level is what it is, I did not force anyone to play my levels that should not have been published on your site without my knowledge. However, if it pleases you I will no longer amateur levels. I'll also take away on Aspidetr.com, for personal reasons. franky wrote: QUESTION: Is it cos' that helped and encouraged beginners like me to go down that road? No, it was supposed to tell you should make better levels. You didn't force but we played anyway. I also downloaded Enigma because I haven't played that one yet. Nobody said you should stop, and personally I think you should build on. I am very sorry and saddened by what you have written on my level, although the level is so. As I said I am a principaiante and these reviews have not helped. About the My level of Aspidetr downloading has already been locked, I lost the friendship of my tester, so not sure if I will still amateur levels. If you lost a tester don't worry, there are many here and also on tombraiderforums.